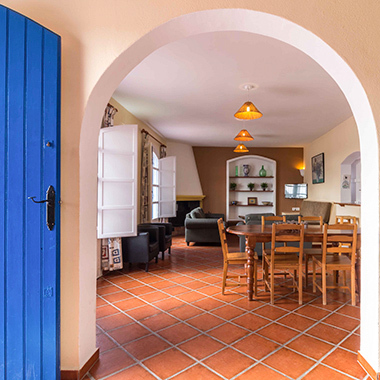 Enjoy your vacation or a getaway in the heart of Cabo de Gata Natural Park (Nijar, Almeria) and discover its beautiful beaches and coves, its nature and charming villages! 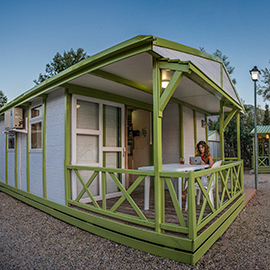 You can choose among four accommodation options for your stay: Cottage La Noria, Bungalows, Bengalis, and plots. All this in a complete resort, ready to cover all your entertainment needs and make your visit a memorable stay! 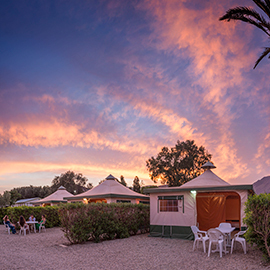 The Escullos Resort and Camping is open all year round. 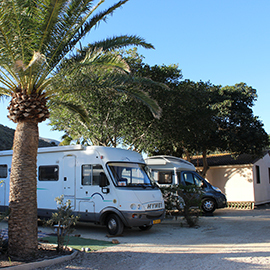 The climate in the Cabo de Gata Natural Park is ideal at any time of year! Almeria province has one of the best climates in Europe, with an average of 328 sunny days a year, with low rainfall and an average annual temperature of 20° C.
Facilities for up to 14 people. All areas are provided with WI-FI. Animals allowed on a lead.